What could it be about us that our sales at RE/MAX 365 have Sky-Rocketed over our competitors? 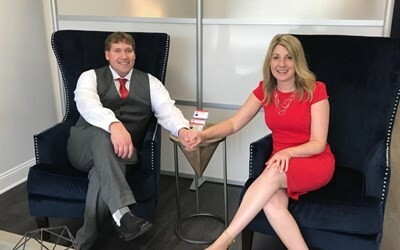 Owners of RE/MAX 365, John and Debbie McLain, believe that Real Estate is first and foremost a service business and have built a Team of Specialists dedicated to selling Real Estate for More Money in the Least Amount of Time! They believe that when you work with RE/MAX 365 you build a Life, not just a Living! When 28% of home sellers would not reccomend their previous real estate agent, they realized a change in the industry must happen and must be accomplished immediately! John McLain has been a licensed PA and NJ Real Estate Agent since 2005, being involved in hundreds of transactions and part of a team that sold literally thousands of homes each and every year. Travelling around the country to meet with the greatest minds in real estate marketing has been a cornerstone in the success of RE/MAX 365's growth. Debbie McLain have been a licensed NJ Real Estate Agent since 2013 and is the foundation of the business. She has taken her career to a higher level and as the CEO of RE/MAX 365, her main focus is growth daily, weekly and throughout our 20 Mile March. Stop In for a Free cup of coffee, tea, water, cappucino and check out our 2 offices. Please do not forget to ask us about our Exclusive Innovative Consumer Programs.